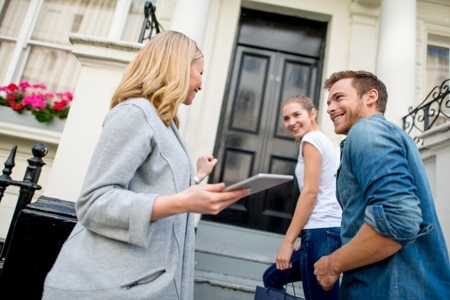 The survey additionally found that an overwhelming majority of buyers search for homes online and then purchase their home through a real estate agent, with millennials using agents the most. For the second consecutive year, NAR’s study found that the largest group of recent buyers was the millennial generation, those 34 and younger, who composed 32 percent of all buyers (31 percent in 2013). Generation X, ages 35-49, was closely behind with a 27 percent share. Millennial buyers represented more than double the amount of younger boomer (ages 50-59) and older boomer (60-68) buyers (at 31 percent). The Silent Generation (ages 69-89) made up 10 percent of buyers in the past year. According to the survey, 13 percent of all home purchases were by a multi-generational household, consisting of adult siblings, adult children, parents and/or grandparents. The biggest reasons for a multi-generational purchase were cost savings (24 percent) and adult children moving back into the house (23 percent). Younger boomers represented the largest share of multi-generational buyers at 21 percent, with 37 percent of those saying the primary reason for their purchase was due to adult children moving back into their house. The median age of millennial homebuyers was 29, their median income was $76,900 ($73,600 in 2013) and they typically bought a 1,720-square foot home costing $189,900 ($180,000 a year ago). The typical Gen X buyer was 41 years old, had a median income of $104,600 ($98,200 a year ago) and purchased a 1,890-square foot home costing $250,000 (same as last year). Generation X buyers (68 percent) were the most likely to be married, younger boomers had the highest share of single female buyers (23 percent), and millennial buyers were more likely (compared to other generations) to be an unmarried couple (14 percent). When asked about the primary reason for purchasing a home, a desire to own a home of their own was highest among millennials at 39 percent. Younger boomers were the most likely to buy because of a job-related relocation or move, and a change in a family situation—likely the birth of a child—was the highest (13 percent) among Gen X buyers. Older boomers (at 15 percent) were the most likely to buy because of retirement. Regardless of their age, buyers used a wide variety of resources in searching for a home, with the Internet (88 percent) and real estate agents (87 percent) leading the way. Millennials were the most likely to use a real estate agent, mobile or tablet applications, and mobile or tablet search engines during their search; Gen X buyers were the most likely to use an open house. Although the Internet was the top source of where millennials found the home they purchased (51 percent), they also used an agent to purchase their home at a higher share (90 percent) than all other generations. NAR President Chris Polychron says the survey results highlight the fact that while the Internet is widely used during the home search process, the local market knowledge and expertise a REALTOR® provides is both valued and highly sought by buyers of all ages. “Nothing can replace the real insights and guidance REALTORS® deliver to help consumers navigate the complex buying and selling process,” adds Polychron. Although most purchases by all generations were in a suburban area, the share of millennials buying in an urban or central city area increased to 21 percent in the past year (19 percent a year ago), compared with only 12 percent of older boomers (unchanged from a year ago). Older boomers and the Silent Generation were more likely to buy in a rural area (18 percent each). Buyers’ median distance from their previous residence was 12 miles, with older boomers moving the furthest at a median distance of 30 miles.